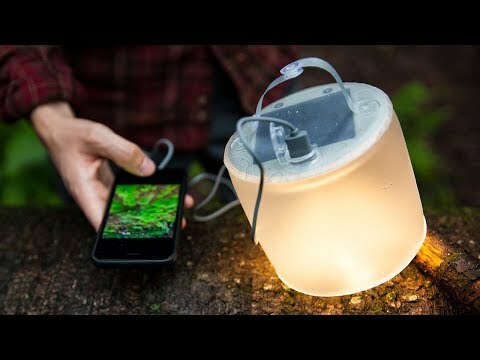 Luci is an inflatable, affordable, solar lantern that generates continuous light with zero emissions anywhere on earth, independent of the grid. 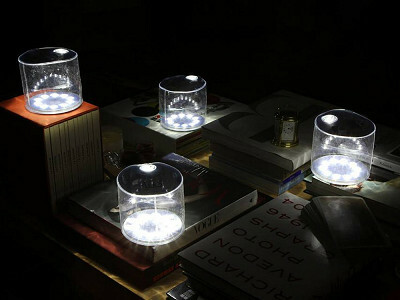 It can be charged under direct sunlight or cloudy skies (as well as incandescent light). As easy to use as it is to deflate and stow, Luci’s durable, waterproof design makes it ideal for everything from boating and camping to outdoor entertaining, and power outages. In fact, lack of electricity was the inspiration for the idea. MPOWERD was co-founded by Jacques-Philippe Piverger, John Salzinger, and Jason Alan Snyder. 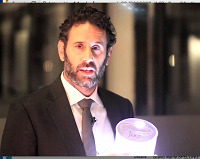 Principal inventor Jason Alan Snyder worked hand in hand with John Salzinger to develop the Luci lantern after an earthquake in 2010 left thousands without power in Haiti. Now, MPOWERD is on a mission to illuminate the lives of people who live in energy poverty all over the world. 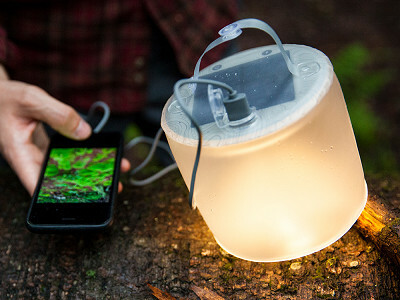 Unlike other solar light products, Luci incorporates the functions of a task light, flashlight, and diffused lantern. 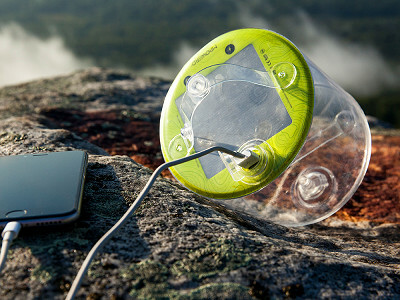 Its rechargeable lithium-ion battery weighs only 4.5 ounces. In your car, at home, or for those in need, Luci has the power to shed light on all types of tasks and all kinds of situations. We are a company that develops and manufactures transformative clean energy products to replace and eliminate the dangerous, costly and harmful ways people living and playing off-the-grid are forced to find energy. We are excited to be on The Grommet and have the opportunity to share our mission to eradicate energy poverty through solar justice! Meredith from The Grommet Discovery Team. 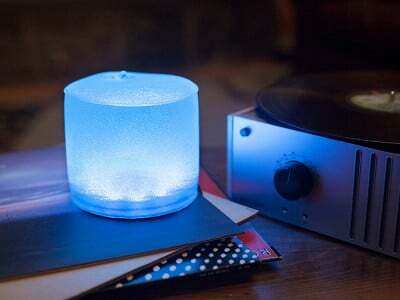 Luci will stay lit for 6-12 hours depending upon how long you leave it on. There is an on and off switch on the bottom. @Jen I have had them on all night (? 10 hours) on bright. There is a on/ off switch, two levels of brightness. You inflate them by mouth, the plastic is very durable. I would suggest them as disaster kit items. @Arthur and @ Jen and Margaret, the order page always has more information such as tech info and usually answers that type of question..
Amy from The Grommet team here. Thanks for jumping in and helping us to get these important questions answered. Love these, been using them for disaster preparedness. @Arthur thanks Arthur! Stay tuned for EMRG. We expect it to debut late summer. It's our smaller latern. It fits in all emergency prep kits. It's only 3oz and will cast a five foot light radius! Traveling at Christmas, looking for compact gifts for large family! This looks perfect! Thanks for such a great idea - love that we're keeping our energy footprint very small! Are there plans to have them come on at dark and off at daylight or will you just stay with manual off and on switches? So, if I have them in my back yard and just leave them on at all times will there be enough of a charge to operate them during the night too? @guest Hi Kathy, thanks so much for your interest. 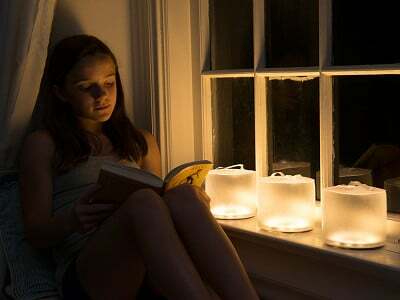 I would recommend turning them off during the day as to absorb the most amount of light and have a nice full charge by sundown. They are meant to be more utilitarian than, say, a garden light, but certainly are just as pretty. 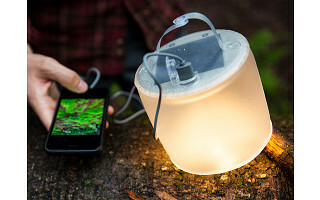 Does a portion of the purchase of this lantern go to help those in need? Such as described in the video and info attached to this wonderful product? @JB Hi JB! We have a GIVE Luci option. When selecting GIVE Luci upon purchase, we will send the Luci lantern you have purchased to one of our trusted NGO partners. Okay, Luci is too cool for words! I purchased 2 of them because I live in a rural area outside of Austin, Texas, where power often goes out during our famous thunderstorms! Thank you Owen for introducing a terrific product! @L.a. You're welcome! Thanks for your support! @Kelly Hi Kelly, The batteries are not replaceable, but Luci has a lifespan of up to 500 full charges. So, she should be shining bright for quite some time! What are the dimentions of Luci when completely inflated and when deflated? Also what is the total weight? What type of battery does it use? Can the battery be changed without a tool? @Debbie Hi Debbie, The Luci is 5" in diameter by 1" width collapsed. When inflated she is 4" tall. She weighs4 oz. She as a lithium-ion polymer battery and does not need changing at anytime. Hi, Great idea. How long will it hold a charge without use? Thank you. @Peter Luci will hold her charge up to two to three months, but may decline in charge thereafter. Here is some information that is available when you click on the product. Amy from The Grommet team here. This is wonderful of you to help out. We appreciate it. I think Luci is great! I want to be a part of spreading this product world wide. How do I do so? @Guest Thank you for your support! You may purchase the GIVE Luci, which will be sent to one of our NGO partners and end up in the hands of those living off the grid. Please feel free to share Facebook and Twitter posts to help spread the word! @Guest We see a ton of lift from Pinterest and Instagram posts too, and if you are active on blogs you can share the word there too. I have one of these and love it. Do you have other solar items? @holly Hi Holly. We will soon be debuting other micro-solar products in the near future! The Aura, EMERG and the Lux. ONLY thing I see I don't like is that they are made in CHINA !! Could you not find someone to make them in the United States? I don't buy products made in China. These are super cool and great for underdeveloped countries but I would not buy one. Thanks for your comments here. We truly value all of our made in U.S.A products and know that our Makers always work hard to manufacture here whenever possible. Often times we find it's simply not possible and continue to support them in their endeavors. Amy, are you really asking us to accept that in this whole country it is not "possible" to find a company that would make these with quality and affordability. That's a real stretch in believability. There are many of us out here who believe in strengthening America first, not China. @ellie I, too, am very disappointed that entrepreneurs go right to China for manufacturing. Like the product idea. Won't buy made in China. Will do without. It looks like a really great product. I was all set to buy it until I read "China" . What made the U.S. a strong and self sufficient nation, our own manufacturing industries, are being passed over in favor of products from countries like China. The MPOWERD desire to help nations who are faced with energy disasters is outstanding. Don't they realize our economy is also a "disaster area", partly because of all the manufacturing outsourcing to places like China. I've yet to meet a USA based Maker who hasn't tried to produce in this country. Many times when they do, the prices rise accordingly to reflect American wages or, sometimes, this also brings a higher quality outcome. And then we find that that the same people who say they only buy things made in the USA do not truly support those domestically produced products. And that makes me a little crazy. I am hopeful that the people here on this board discussion will not fall in that camp. Taking positive action is always the best course to exert your power, rather than sitting on the sidelines complaining.